It doesn’t matter the sport; any athlete can benefit from the benefits of meditation. Meditation study on athletic performance is still in its beginning stages. But, meditation has been shown to help in other areas that could relate to athletic ability. Every coach should be looking at the studies that have revealed the usefulness of meditation. Phil Jackson, one of the most winning coaches in the NBA; who is tied for the National Basketball Association championships record (13), has been using meditation for years with his players. Focus. Your mental focus determines the outcome of your game. When you’re in mukso, and you’re not focused, you are likely to miss elements in the kata. Why not train your mind to focus? Meditation will increase states of focus within the brain. Pain. There’s an old cliché around professional athletes that no matter what, they’re always dealing with some sort of pain. High level sports play havoc on your body. Meditation has been shown to help people deal with pain. Fear. Doubts can take over your mind from the present moment; which leads to mistakes. Meditation calms the amygdala (the fear center of the brain) even when you’re not meditating. This news alone is worth great amounts to athletes. Immune System. Sick athletes can’t participate in their sport. Professional athletes are always searching for various ways stress and sickness, why not trying meditation? Meditation has been proven to fortify our immune system. Obsessiveness. Everyone has lost a game. How about missed the game winning shot? Sometimes it becomes difficult to bounce back because we can run compulsive thoughts over and over in our mind. Meditation will reduce obsessive contemplation and will essentially help us reboot our mental focus. Resilience. The best athletes are the most resistant and meditation will help out in this area. Everyone knows you that in order to grow you must fail. Most of the times it is over and over again until you succeed. Meditation helps you separate from the destructive thoughts that hold you back from achieving your goals. Stress. People, especially athletes are always under some type of stress. They succeed because of the ability handle a high stress environment. Why not embrace meditation which has been proven to reduce stress? Emotions. There is a study that revealed that people with more mindful personalities are better able to calm their emotions and control their moods better. The competitive nature sports causes athletes to manage an ebb and flow of emotions. Sleep. One night of lost sleep could hinder athletic performance. Having a proper night of sleep is a very valuable asset every athlete should have. Meditation has been proven to enhance our quality of sleep. 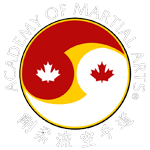 For over 30 years part of each class at the Port Credit Academy of Martial Arts in South Mississauga includes some type of meditation. 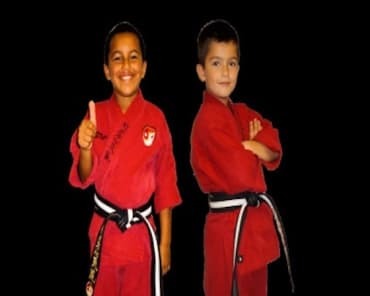 The Karate, Kardio Kicks (Fitness Kickboxing) and Tai Chi all complement each other in a well-rounded blend of healthy, fitness success training. 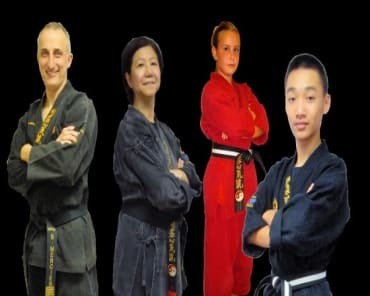 Did you know that the Port Credit Academy of Martial Arts has been voted the best club in Mississauga and Port Credit area since 1995 (that’s 23 years in a row!) by the readers of the Mississauga News. 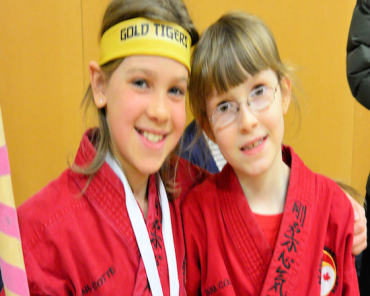 In addition, the Academy was voted as the “Top Choice” for Martial Arts clubs in Mississauga for the last two years (2016, 2017). Most recently, the Port Credit Academy of Martial Arts was voted as a 2017 Mississauga South Business Star for Community Impact Excellence. As you can see, meditation will give you an additional advantage helping you win the game-winning point and help you give that extra boost of effort when you think you can’t. Why not incorporate meditation training it into your life? It just might make you a better athlete but will definitely make your life better!